There are many reasons to get a superannuation review especially if you are within 15 years of using your super funds more tax effectively (hint over age 45). A lot can be done to dramatically improve your retirement prospects given time. However if you leave it too late, the chances of making significant improvements are limited. Getting good financial advice can make all the difference to the quality of your retirement. 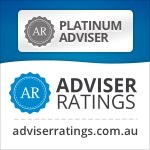 You may not want a full advice service but you can just have a Superannuation and Insurance review. So here are a few reasons why a review could be one of the best decisions you make. You’ve being putting money in to Super for over 20 years and not sure what it’s doing for you. You have more than one superannuation account and cannot keep a track of how them or how they are performing. Consolidating your accounts together could make keeping track of your savings much easier and moving house less of a hassle! You may be considering adding funds or your tax agent may have recommended some salary sacrifice and you are suddenly more interested in getting value for money. You may be interested and want to explore the use of a Self Managed Superannuation Fund known as a SMSF (it’s only one of the options available but we can help you assess if it is right for you). You may not be satisfied with the level of service and advice you are receiving from your superannuation company and/or your adviser if you are getting any at all. Many people receive no service at all but continue paying fees year after year. Is it time for you to step-up and demand advice, we invite clients for a review at least twice per year. You are concerned that your super or multiple accounts may not be performing very well. Sadly, most people in superannuation schemes have little or no idea how their funds are invested or performing from one year to the next. Reports get thrown in a drawer because the jargon is mind bending! You may be unsure how much risk you are taking with your superannuation investments. It is undeniable that in order to increase your nest egg value, some risk will need to be taken. However the risk you are taking may not be suitable for you and categories like “Balanced or Core” don’t actually mean what they suggest!. And how about just getting general health check on your super and how it is performing. Like many people you have accumulated lots of accounts over the years from various jobs ( I recently consolidated 12 accounts for a couple). It may be beneficial to consolidate them all together in one account (wait don’t rush in, review insurance and fees first). Identify poor performing superannuation funds and move them to investments that have greater potential for growth or a more consistent return. You may have an SMSF or Superannuation account sitting in cash and just don’t know what to do as you have lost confidence. You may have multiple/duplicate insurance arrangements across many funds and be paying premiums for cover that may never pay out. You are likely to have one or more personal accounts and they could be an industry fund, an employer group plan, a personal retail account, or even a transition to retirement pension . A relationship with your advisor should last for many years. At Verante and the SMSF Coach, we take the time in our first meeting to understand you, explain how we operate, and what you should expect. You decide whether you feel comfortable with us. We determine how we can add value to your set of circumstances. Together we discover what challenges and opportunities lay ahead. The second step is our Discovery meeting as we spend a great deal of time gathering the necessary information to build a clearer picture of you. We discover you and your current circumstances – such as family, financials and aspirations. We also help you complete a Risk Profiling Questionnaire; this is designed to help identify what your attitude to risk is and your comfort with different classes of investment. The third step is to obtain full details of all of your current superannuation, investment, debt and insurance arrangements. We ask superannuation companies more than 20 questions, so that we get a full and complete picture of your current situation. The fourth step is where we complete a full and comprehensive analysis of your current arrangements, to identify if your super accounts are delivering on expectations, that insurance cover is valid and will protect you and your family and fees are under control. Step five is to recommend a suitable strategies to move your Superannuation balance forward, should the review reveal that your existing accounts are not working as well as they should be. Step six is to implement the recommendations, which may mean re-organising and consolidating your accounts into one super or even a pension fund. And finally step seven is to keep your arrangements under regular review to ensure that it continues to perform and meet your objectives. 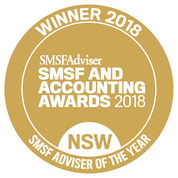 Also delighted to be named in the 50 mist influential investors and win the top award in the new 2017 SMSF and Accounting Awards.